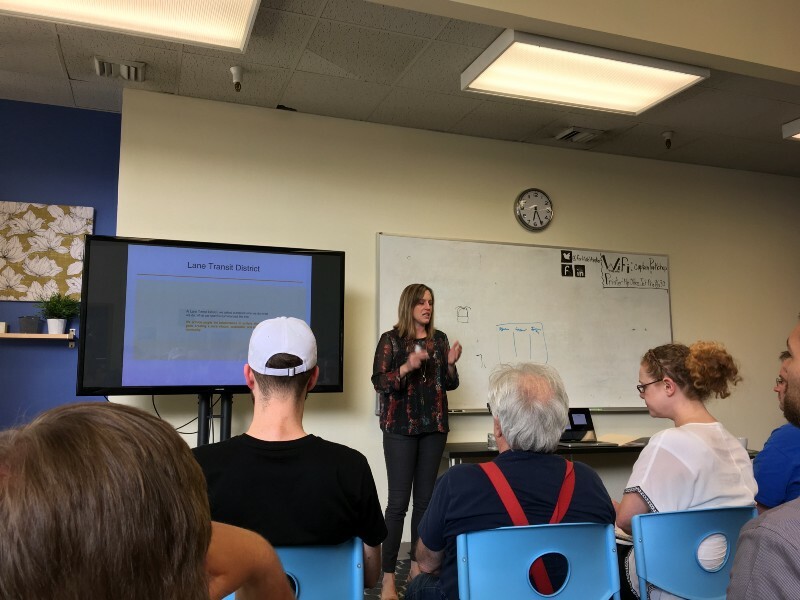 As part of the ID8 pre-accelerator program, Fertilab (a coworking space I am a member of) is hosting a series of “hustle talks” to help small business owners and aspiring entrepreneurs attract, retain, and grow their customer base. As part of the series, Jen Bell—a partner and strategy director at Bell+Funk(a design and marketing research agency located in the heart of downtown Eugene)—talked with 20+ attendees on how to find your target customer and determine what they really need from your product using qualitative research. To understand what Jen Bell was teaching us at hustle talk, we need to first understand what qualitative research is in a marketing context. * Basically, qualitative research is the observation of behaviors from your target market. The ultimate goal is to paint a portrait of your target market’s opinions, pain points, and perception of your product. Using this portrait, you can get an accurate sense of how to accurately market your product to your target market in a way that successfully drives business. Jen Bell discusses some of the methods she uses and what lessons she has learned from her experience in the field. Jen Bell using a case study to describe the benefits of qualitative research and how it applies to your customer. So what are the takeaways from each case study Bell went over? To be frank, I am not 100% sure what the Qubit does. According to its product description, Qubit “is the next generation of the popular benchtop fluorometer that accurately measures DNA, RNA, and protein using the highly sensitive Qubit® quantitation assays.” I’ll leave it to the biology majors to parse out what that means. As for the case study, one of the key topics that stood out to me was determining where your product is going to take market share from. In the case of Qubit, there were two markets they could essentially disrupt: the low-end academic market and the high-end lab market. I think many entrepreneurs face this issue more often than not, and I am glad that Bell brought up that one product can potentially disrupt two similar, but very different, markets—all depending on how you price, market, and sell your product. This was really the study of nuance in your target market’s needs and wants, which is what made Qubit an interesting case study to analyze. It’s also very relevant to the issue many PC manufacturer’s are facing: should they serve the high-end market or the low-end market? Thus far, it‘s a toss up due to a number of factors. ShareWave shared multimedia from a PC to other screens around the home. From what I can gather, it was basically the Chromecast ahead of its time.ShareWave was acquired by Cirrus Logic in 2001. What was interesting about the ShareWave case study was how you can perceive the value of your product as solving one problem but it is actually solving quite another problem. Now, that reality is not as glamorous and altruistic as ShareWave bringing a family together, but it did help prevent them from wasting a good chunk of change on a marketing campaign that didn’t address their target market’s actual pain point, which was helping to keep calm in the home. For those of you who are uninitiated, the LTD is a hot-button issue in Eugene. As a newcomer to the Eugene area, I have no opinion on the matter at this time. But it was interesting to see Jen Bell use such a contentious client as one of her case studies, and I think it’s the one that got the audience thinking the most. When a brand is in a contentious state, it is important to make sure the right story is getting out by providing the right information. It was interesting to note how Bell was able to change the perception of LTD in a focus group with straight facts, such as LTD servicing 11 million boardings a year. It’s a testament to how hard numbers can really resonate with potential customers. Bell’s idea to have those in her focus group describe LTD as a person is a unique and interesting way to go about determining what people think of a brand and a product. I challenge you to do this with brands you love and hate as a sort of self-exercise. In general, how a brand is initially perceived matters a lot. But what matters more is how you can shape and circumvent the real strengths of a brand into a marketable and positive message. It’s impressive that Bell+Funk was able to find a way to do this with LTD.
Random note: Bell+Funk also wrote LTD’s mission statement, and I am glad Jen Bell noted how difficult that task can be. I was put in charge of writing a mission and values statement for a large AdWords agency in Lake Oswego. It’s a lot of work and a lot of meetings. Should You Use Qualitative Research? It’s clear to me that leveraging qualitative research would be a useful tool for anyone looking to understand their target market. But it comes at a steep cost that may be prohibitive to startups. Conducting such research can cost $50/hour or $80 per recruit—not to mention the time and effort you need to put into creating and gathering materials. It seems that it would be best for a company to hire a professional agency like Bell+Funk to conduct such research to make sure you get the most bang for your buck. The learning curve appears to be steep. Choose the right format: 1 vs 1, dyads, or focus groups. Conduct qualitative research in the right environment (on the street, at tradeshows, in an office, or over the phone/Skype). Jen Bell says to “focus on the [consumer] you can move” rather than on a consumer who is, and always will be, an opponent to what your product offers. Your energy is better spent on those you can sway; I agree. All in all, this was a very informative topic for a hustle talk, and it is good to know that such an agency exists in Eugene. A lot of marketing tactics, and I speak as a marketer myself, can feel very pie in the sky and intangible to clients. I am excited to see how attendees will adapt this talk and make it their own. *Editor’s note: I know there is more to qualitative research and what it actually is. You can use Google for a more in-depth answer. I encourage you to add any details I missed in the talk using the comments; I wrote this quickly, and I have no doubt I left something of use out.